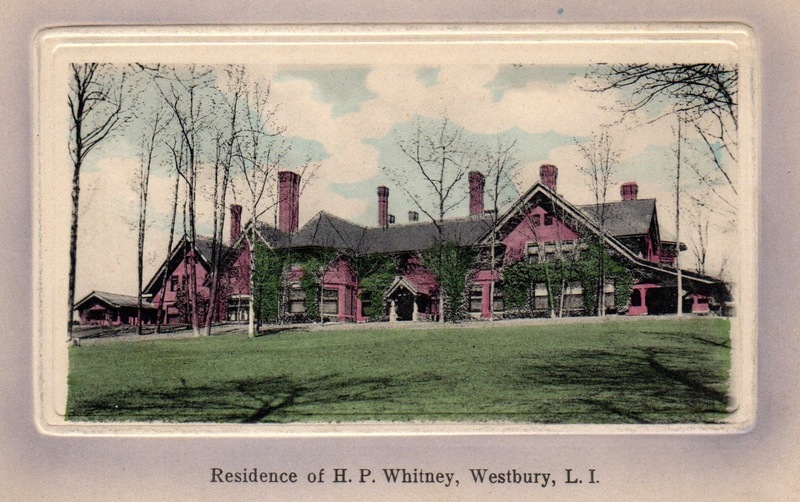 "My boyhood home was a glorious country estate of some thousand acres near Old Westbury, Long Island. It was a big red brick house situated on top of a hill, with rolling green pastures to the south and a wild forest to the north. Dominating the estate was a brick tower that stood two hundred feet high with a windmill on top, supplying us with water from a well in the sands below. We had a stable full of horses, a good-sized kennel, an outdoor tennis court and swimming pool, and an indoor gymnasium replete with bowling alley and squash court. And those rolling green pastures to the south of the house were dotted with fruit trees, a huge vegetable garden, a herd of Jersey cows, and lots of chickens, pigs, and pigeons. In those days there was always ample help to maintain an estate of that size." "It was all very grand, I must say, except for my spartan quarters in the attic. I, the middle child and only son, had a tiny bedroom with a cot, a small bathroom adjoining, and an empty storeroom beyond. No one else lived in the attic, for which I was very grateful, for I prized my privacy. My sisters, Flora and Barbara, and their French governess occupied sumptuous bedrooms with a large playroom on the second floor. My sisters reveled in their surroundings every bit as much as I did mine. In those days boys were never roomed within striking distance of girls." "In a vacant room in our home in Old Westbury I kept a collection of birds' eggs, each identified and catalogued. The family knew about my egg collection, but nothing about my collection of snakes. That is why I prized my privacy up there in the attic. My very special pet was a three-foot king snake for whom I trapped mice which I fed him regularly. One Sunday when I must have been full of mischief, I coiled him around my neck and marched downstairs where luncheon was about to be served. The huge dining room was filled with friends of my parents and to this day I can recall their open-mouthed shock at the sight of my snake and me. My father promptly ordered me to my room where I spent the rest of the afternoon. I sat on my cot staring down at the bread and water sent up for my lunch, mindful of the fact that downstairs my sisters were probably eating ice cream after a delicious turkey with cranberry sauce." wonderful reading....I attended architectural college in the stable that formerly held the cattle and horses....amazing place and interesting to read his childhood memories. Alas, the "dairy herd of Jersey cows" must have been long gone by the time that LIFE magazine took the photograph of Sunny Whitney in middle age among his herd of Angus beef cattle, a favorite tax deduction for the well-heeled during the 50's and 60's. Alas, I too recall the herd of black Angus as you turned off Wheatley Rd onto Post with the herd grazing before us. This was in the late 50's.